There are so many fantastic Australian Native plants but here are our top 3 that we know grow really well in the Sunshine Coast climate. ‘RSL Spirit of ANZAC Grevillea’ is a hardy bird attracting shrub with stunning large red flowers from autumn to summer. It thrives in well drained soils and is very drought tolerant. Prune in late spring to keep compact and promote massed flowering. 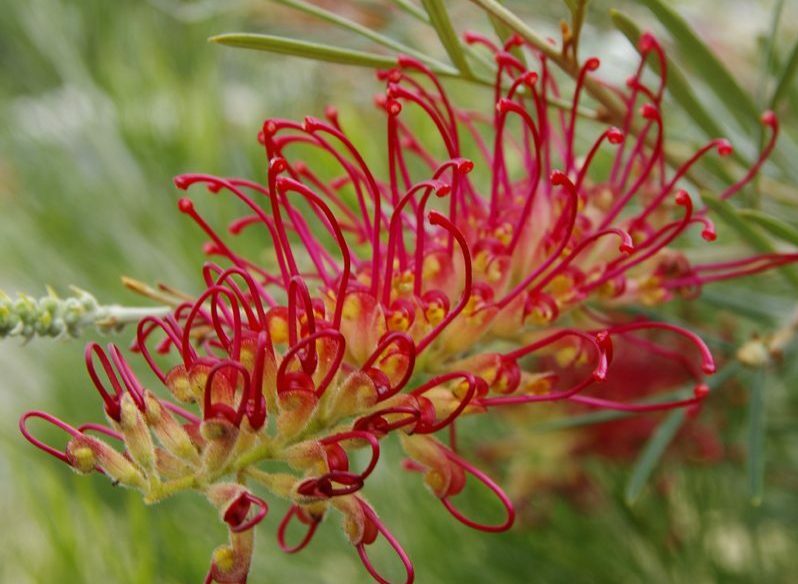 Once established, ‘RSL Spirit of ANZAC Grevillea’ will grow and flower well with twice weekly irrigation over summer, and just a rainfall during the wetter months. This plant is best grown in full sun and is suitable to grow in either a container or in the garden. Scaevola Aemula, commonly called Australian Fan flower – it is a strong hardy native which is both attractive to bees and polliantors as well as being durable in our conditions – and who isn’t a fan of flowers! It’s a great ground cover and grows to 50cm. 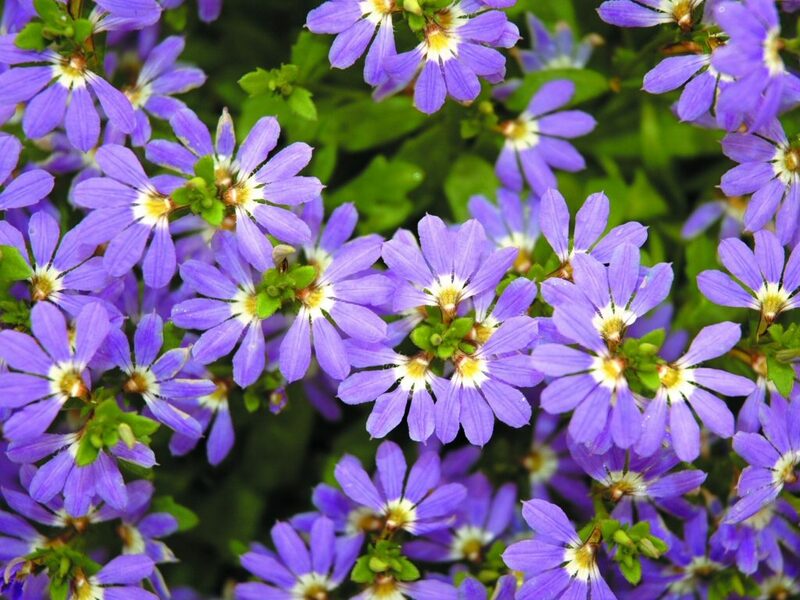 It produces mauve/purple flowers all year long and is an ideal low-maintenance plant in pots, near pools or a coastal garden. The Banksia spinulosa grew extensively in the Buderim area, which the traditional Gubbi Gubbi people called “Baderram”, this is believed to be where the name Buderim was derived. 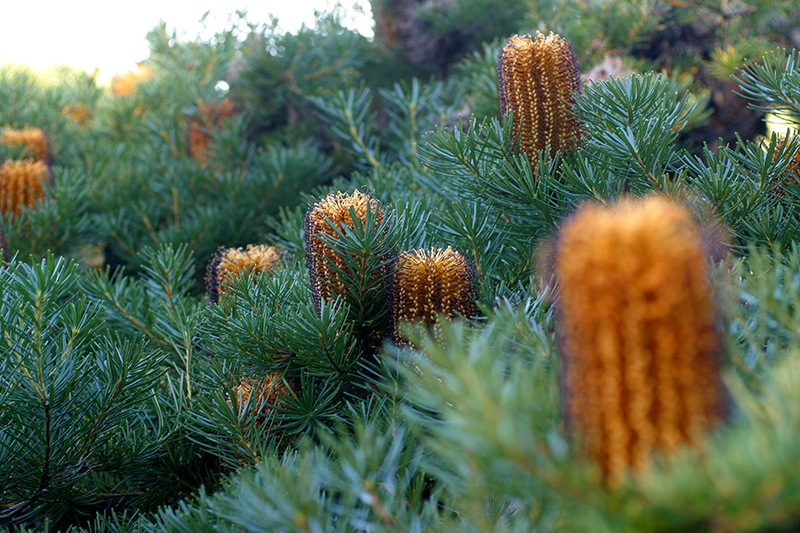 ‘Bush Candles’ is a compact low growing form of banksia spinulosa; this plant displays a mass of striking golden cylindrical candle like flower heads that appear above foliage from autumn through to winter. ‘Bush Candles’ provides nectar for birds and bees over the cooler months and is suitable for any garden that requires low informal or structured plantings.